Eco-support is an operating model developed for promoting environmental awareness in the workplace. Eco-supporters are appointed and trained for working communities to promote work for a better environment. The new ecological practices in everyday operations conserve the environment and save money. One or more eco-supporters are appointed and trained for every working community. Alongside their regular duties, these eco-supporters will offer instructions and motivation to their fellow workers for environmental work. The basic training focuses on environmental issues, reducing the environmental load of the work, changing standard operating procedures in a more environmentally friendly direction, and various ways of influencing everyday operations. 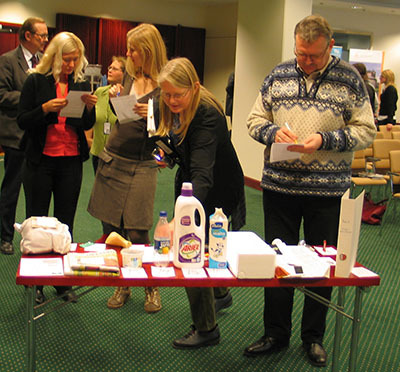 The work of eco-supporters includes formulating recycling instructions for individual workplaces, disseminating information, and raising environmental issues at meetings. The operations begin with a preliminary review of the overall situation, which can then be used as a basis for drafting an operating plan. The eco-supporters may also assist in formulating and implementing environmental plans. Eco-support operations are supposed to become a natural part of planning and evaluating operations in a working community. The operations and their impacts can be evaluated and developed based on the annual report, and good results can be celebrated together. 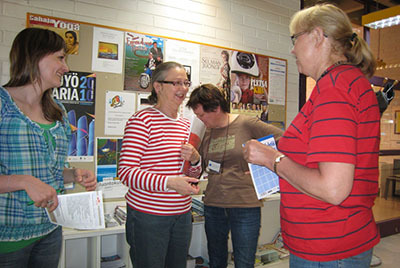 Eco-supporters will hold regular departmental or city meetings several times a year, or even monthly where necessary. These may include further training, excursions, or networking events that focus on exchanging experiences. A contact person network has been created for Helsinki departments to promote cooperation, peer networks, and the formulation of branch-specific best practices. The eco-supporter network must be coordinated and supported, and regular communication is important. In Helsinki, for example, coordinators may be consulted or asked to come for a visit, for instance to give a lecture or to assist in various campaigns. The coordinators will also publish a monthly newsletter containing practical operating tips and current events. A guidebook and logo may also be used to support the operations. Eco-support operations require the organisation to be committed to promoting environmental responsibility, and they also need management support. The operations may help to improve the grassroots profile of the organisation’s strategies and environmental policies. Eco-support operations are easy to include in various environmental systems. They increase the environmental awareness of employees and make the actions more tangible. The size of the organisation does not matter, but the larger the organisation, the more important the coordination and support of operations. The operational model for the eco-support operations was created in 2006 as a tangible operation of the ecological sustainability programme of the city of Helsinki. Many Finnish and Estonian local authorities are currently developing the eco-support model, which has so far only been used in the public sector. Common principles have been defined in order to ensure the high quality of the operations. 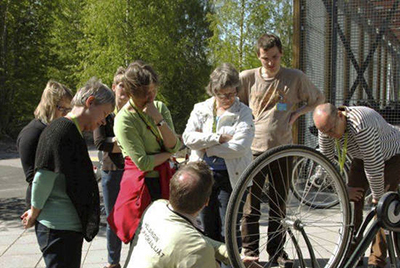 The Eco-support activity and its development are coordinated by the City of Helsinki. Eco-support activities have been previously developed with the help of EU funding. Our organisation is committed to promoting environmental responsibility. We appoint and train eco-supporters in our work community. We give support to eco-supporters and their work. We find out about the state of the environment and identify our own opportunities to influence it. We save energy and water. We prevent waste production, we recycle and we sort. We pay attention to environmental aspects when purchasing. We take eco-support activity into account in our planning, operations and evaluations. We ensure the continuity of eco-support activity.